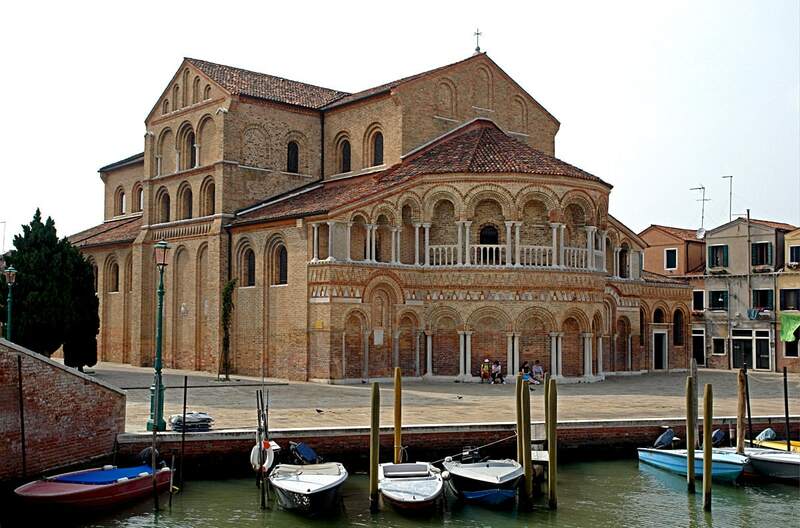 One of the oldest churches in the Venetian lagooon is the Santa Maria and San Donato Cathedral, Murano. It seems to be little changed since it was last rebuilt sometimes around 1140 and serves as an excellent example of authentic Byzantine style architecture. Behind the altar there is a unique relic: four large bones hanging on the wall. These enormous bones are said to belong to a dragon slain by St. Donato. Initially, this church was devoted to the Virgin Mary. It was built in the 7th century, then rebuilt in the 9th and most recently around 1140. Some authors suggest that the church has undergone more rebuilding in later times. Although emperor Otto I lived later, in the 10th century, legend attributes construction of this church to him: Otto’s ship was caught by a strong storm in the Adriatic and he promised to build a church and dedicate it to Virgin in whatever place she would like it. The storm stopped and Otto saw an apparition that directed him to Murano. 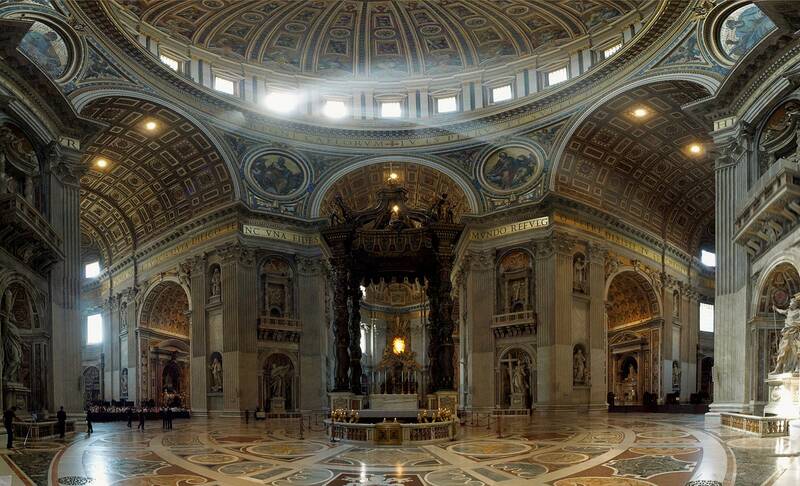 He built a church, and it was consecrated on the 15th of August, 957. 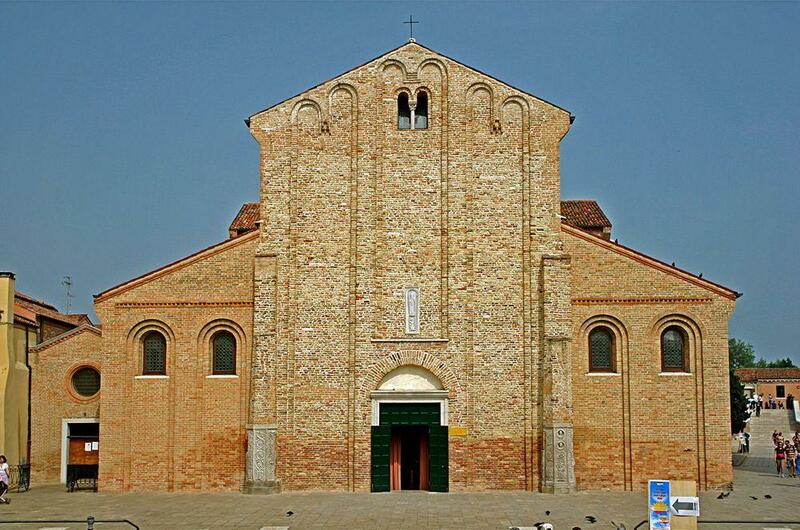 The parishes of the different churches on Murano were constantly quarreling during this time, but strife between parishes of St.Maria and St.Stefano was especially harsh. This lasted until 1125 when Doge Domenico Michele established the dominance of Santa Maria church by storing the relics of St.Donato in it. Since then, the church has also been devoted to St.Donato. However, the priests at St.Stefano countered that claim by finding the “bodies of two hundred martyrs” in their church. Now, that was hard to beat! The rebuilding from around 1140 seems to have been the last and tells us about the typical styles in art and architecture at that time. Although the high, slender campanile stands separately, both the church and the campanile are built of dark brown-red brick and have not been plastered. The main entrance is on the west. In front of the church on this side, there is a beautiful square surrounded by smaller historical buildings. Meanwhile, the eastern facade, which faces a canal, has been decorated with impressive collonades to create a magnificent first impression for guests. The impressive, colorful stone mosaic floor in Byzantine style was also made sometimes around 1140. 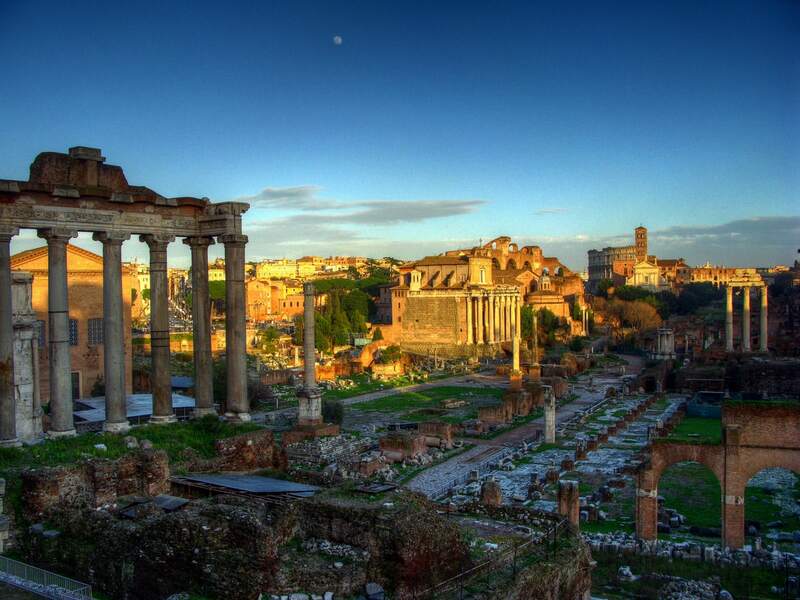 Over the long centuries it has been worn out and seems diminished in effect by superficial repairs, but it has been kept intact to preserve the scars of history. It is the only part of the construction which can be dated more precisely. The relics of St.Donato have been placed in a marble sarcophagus. The bones of the dragon are less esteemed and are hanging on the wall behind the altar; and in fact, few notice them. Who is the legendary dragonslayer, St.Donato? To tell the truth, it seems that during his life, St.Donato did not have any connection to the Venetian lagoon. Venetians used to procure important relics and to bring them back home from their travels (the contemporary Greek island of Cephalonia belonged to Venice at that time). It was one more way to obtain credence in international relations, prestige and… yes, increase tourism. 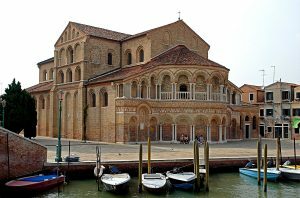 The relics of St. Donato and most importantly, the enormous bones said to belong to the dragon slain by St. Donato was brought to Murano in 1125. Saint Donato himself lived in Tuscany, in the town of Arezzo in the 4th century. His parents were killed during the Christian persecutions and the boy was raised by a clergyman to become a priest. His best friend was the future Roman emperor Julianus. Later in his life, Donato became a bishop of Arezzo, where he died. But if Domenico Michele brought back the relics from the Greek island of Cephalonia, how did the remains of St. Donato of Arezzo come to this island? 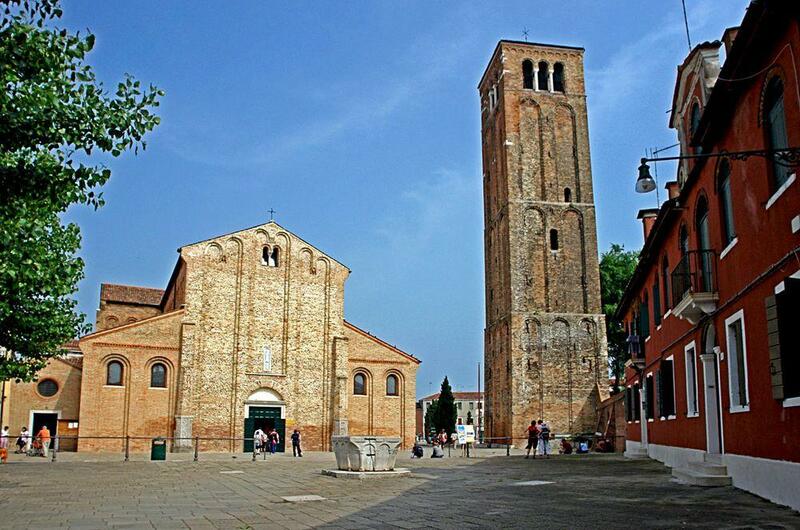 Some sources state that the saint who was brought to Murano was the Bishop of Euboea St. Donatus. But this large island is on the other side of Greece?! Thus the author of this website is not at all convinced at the relics of St. Donato from Arezzo are in Murano. What bones are there – behind the altar? Whatever the truth regarding the saint, even more interesting are the bones of the dragon. According to legends, the profession of priest required unusual abilities and led to miraculous adventures. Thus the priest Donato (whoever he was) also had to go on a quest to deal with the evil dragon who was poisoning a well. Donato reportedly killed the terrible beast by spitting on it. Usually, the opposite happened with the dragons spitting flames on their poor victims, but here we see a glorious defensive measure performed by a medieval superhero. Although the island of Cephalonia itself has a good number of legendary dragons, (one was reportedly killed in the 16th century by the brave brothers Brescani), there are not many legends about the priest/ dragon slayer on the island. Thus, the story of this venomous dragon is even more perplexing than a story about St.Donato from Cephalonia. The author respected the prohibition against taking pictures inside the church. Now he regrets it. But, a longer look at the bones, made him confident that these seem to be the real bones of quite a large animal. The somewhat blurry pictures of the bones are seen here. The bones are of various sizes, but three of these bones seem to be ribs of different size, well above 1 m long. Cattle have considerably smaller ribs and their ribs are not that straight – thus these bones certainly are interesting. It seems that we are dealing with one delusion or several delusions. There is no dragon present (sorry! ), but the bones behind the altar may be the remains of some extinct mammals from the Near East or Southern Europe. The occasional discovery of bones of extinct giant animals in earlier times favored the development of wild fantasies, including stories about giants and dragons. People in early medieval times really could have believed that these were the true bones of a dragon; even if this was just a poor mastodon who had died somewhere in Greece long before humans arrived. The addition of a Christian saint who kills this mythical beast was just a sign of these times – people always needed heroes and authorities always have used this wish for their own interests. The Greeks may have had their own Saint Donatus and the Italians, their own. Both saints miraculously came together to unite the quarreling people of Murano… and to amuse tourists for many centuries to come. Roman miscellany – Venetian Relics II: Dragon Bones? 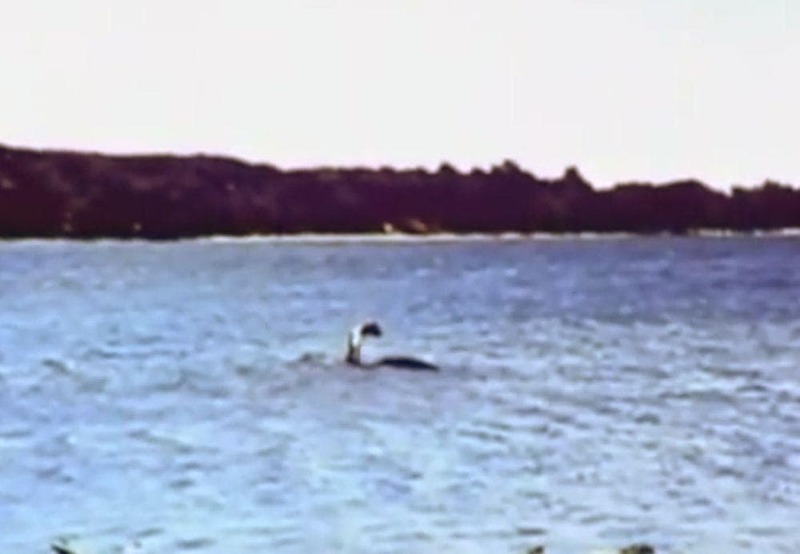 Category includes places where on a regular basis can be observed cryptozoological phenomena. The glass making world of Murano is currently experiencing an ongoing review between the old and the new, between loyalty of traditional values and an eagerness to innovate. The interest of this debate is that it is among the classic glassmakers, who work in an atmosphere similar to that of a medieval workshop, and contemporary artists who live entirely in a modern day society. The collaboration of the two has contributed to making Murano an extraordinary place that is well worth visiting, investigating and photographing.